So the last of my coat blogs today & I'm looking at coloured (some bright some not so!) ones. 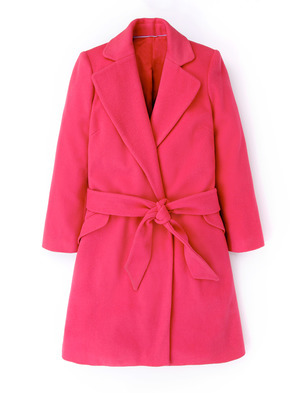 Of course I'm very lucky as I've already got my gorgeous new Damart hot pink coat ready to go this winter (click here to see) but there are also lots of other gorgeous ones tempting me that I thought I'd share & see if anyone else is tempted to click the button. Starting with this gorgeous hot pink number from Boden. A great classic shape that I'm desperate to try even though I'm not great with belted coats/jackets. But I reckon this would be like a mac & look as fantastic worn either with the belt undone & hanging at the sides or loosely tied at the back - after all how many times do we really do our coats up? I hardly ever do & with my love of thick oversized scarves this winter that's going to be the case even more so. 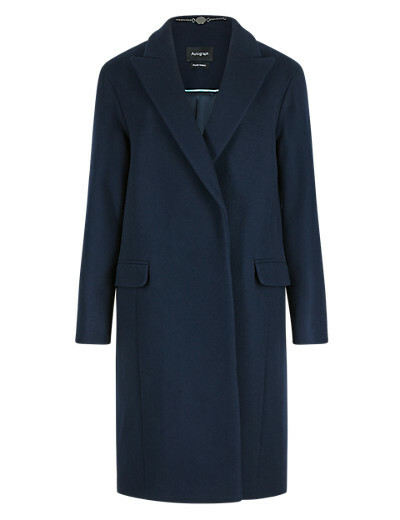 A very similar design but in a gorgeous pale blue is this coat from Next. I think this has slightly larger lapels than the Boden one & Next have shown perfectly how to wear it done up with the collars slightly turned up & the coat tied & slightly pulled up above the belt (if that makes sense!). 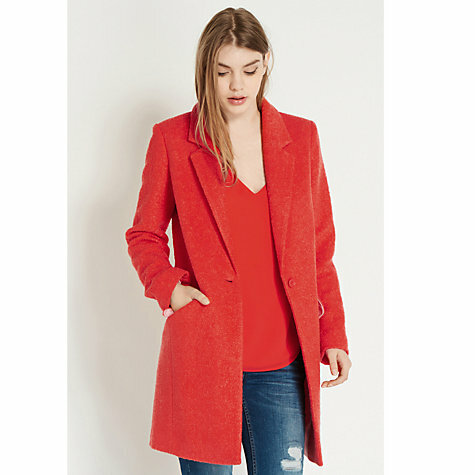 Gorgeous shade of red with this New Look collarless wool coat, perfect for transforming with either an oversized blanket scarf or faux fur stole & would look amazing teamed with soft grey. Or if you're brave enough how about this stunning winter white coat from Mango. I just love this but also know that if I was wearing it I'd attract every spec of dirty out there & would literally be petrified to sit, eat or talk in it as some catastrophe would surely strike!! 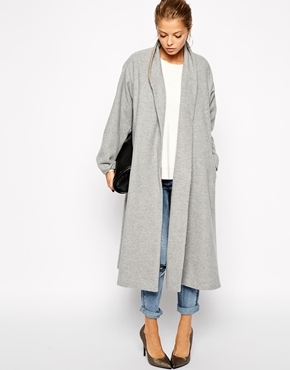 Which is a pity as this slouchy version from ASOS is equally stunning. 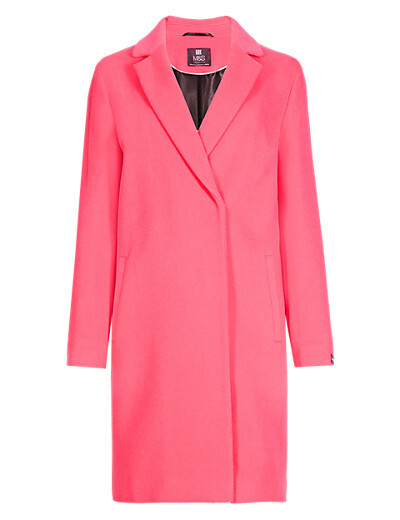 Moving back to my safe territory now with this lovely hot pink coat from M&S. Perfect for dressing up or down & a lovely colour to brighten the darkest of winter days. 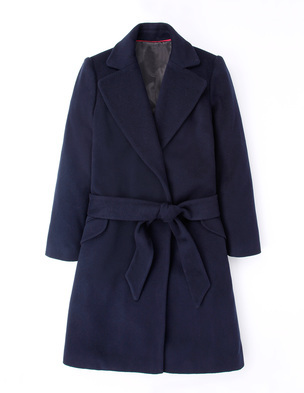 Similar in style & again from Marks is this lovely classic navy cocoon coat. Or for a more casual version of the Marks style Oasis do this fab car coat in red, the must have colour this winter. 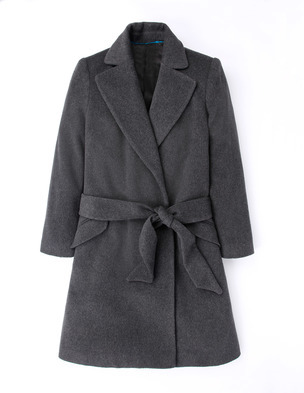 Going back to a great neutral with this lovely soft grey coat from Mango, which I'm sorely tempted to click the button for. Loving the look of this asymmetric coat from Mint Velvet, which has been styled perfectly & is another look I intend to re-create with my navy reefer. And finally what about this lovely swing coat from ASOS. Again amazing styling, I just love everything about this look - understated glamour at it's best. Finishing with my outfit for a quiet Sunday chillaxing at home. So there you have my edit of coats for autumn/winter. Of course you could always go down the checked or patterned route too but for me I don't think you can beat a classic styled plain coat (apart from those days when you need a bit of 'Bet' in your life & then of course a leopard print number is what's called for!!). As always I'd love to hear what you think of my picks & know which way you're going this season. According to forecasts this glorious warm weather we've been experiencing isn't going to last so if you haven't already thought about winter coats it might be time. Finally does anyone else want to recreate the whole look of the ASOS swing coat? I just can't get it out of my mind - love it! I have a few coats but nearly prefer wearing my cosy cardis Jane:) Love your relaxed styling today! I know what you mean Anne, I seem to wear my jackets more than my coats, although come the depths of winter I'll no doubt be dragging the coats out to wear! Ooh sounds like you've got decisions to make Donna, I'm looking forward to seeing which is any you decide to keep. Lynne you'll know as soon as you find 'the one' I'm sure but in the meantime have fun with the hunt & at least it's not been coat weather just yet!! They're both gorgeous aren't they Sian, I think my obsession for jackets could get replacement with my obsession for coats this season!!! That's the trouble isn't it Sharron....too many lovely styles not to mention colours to choose!! A red one as well as a grey one & a cream one are on my list Michelle. I've seen a picture of a red coat teamed with all grey & it just looks stunning.